A new study from the Automobile Club of Southern California reveals that some drivers using premium gasoline because it is recommended for use in their vehicles may be wasting their money. According to the research, premium gasoline offers some benefit to select vehicles that recommend or require it, but is becoming increasingly expensive for drivers across the U.S. In some areas, premium fuel is as much as 25 percent more per gallon than regular unleaded, although in Southern California, the price gap is about 7.7 percent. The new testing conducted in Southern California indicates that some vehicles – those that recommend, but do not require, premium gasoline – may see increased fuel economy and performance under certain driving conditions when using higher-octane premium gasoline. Unfortunately, premium gasoline’s higher cost may outweigh that advantage for many drivers. As a result, AAA recommends drivers weigh the potential benefits against the cost of using premium gasoline, if their vehicle recommends but does not require it. • Fuel economy for test vehicles averaged a 2.7 percent improvement. Individual vehicle test result averages ranged from a decrease of 1 percent (2016 Audi A3) to an improvement of 7.1 percent (2016 Cadillac Escalade). • Horsepower for test vehicles averaged an increase of 1.4 percent. Individual vehicle test result averages ranged from a decrease of 0.3 percent (2016 Jeep Renegade) to an improvement of 3.2 percent (2017 Ford Mustang). • According to national averages, the price difference between regular and premium gasoline is approximately 20 to 25 percent, or 50 cents per gallon. However, the Southern California difference is about half of that at 25 cents per gallon. Depending on the vehicle and driving style and routes, Southern California drivers may see a positive return by opting for premium fuel if the manufacturer recommends it due to the state’s relatively modest price difference between regular and premium fuel. The Auto Club recommends that drivers of premium recommended vehicles try both regular and premium fuel and calculate their own fuel economy to see if premium fuel is worth the price for the fuel economy and performance by the vehicle. Around the nation where the price differential is wider, however, the modest fuel economy improvements found in AAA tests do not offset the higher cost of premium gasoline. Last year, nearly 1.5 million new vehicles sold in the United States recommend, but do not require, premium gasoline. The trend toward recommending or requiring higher-octane fuel continues to rise as manufacturers work toward meeting stringent CAFE (Corporate Average Fuel Economy) standards. However, a vehicle that requires the more expensive premium gasoline may dissuade a car buyer, leaving automakers to balance higher performance with what consumers desire. Rising prices for premium gasoline, coupled with great variation in prices across the country, compounds this issue. 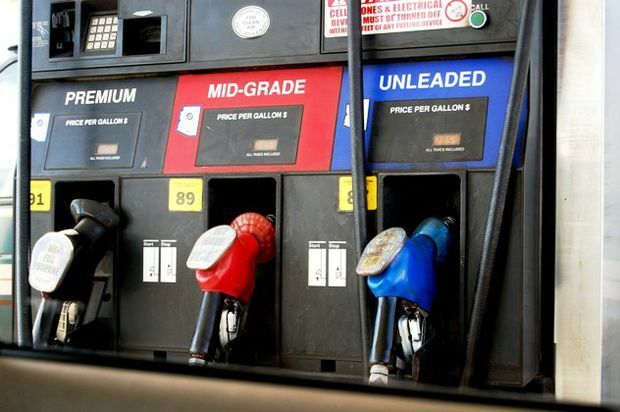 AAA urges drivers who use premium gasoline to shop around for the best price, as it could vary dramatically between gas stations in any given city. The AAA Mobile app, available for iPhone, iPad and Android, can help drivers identify the least expensive premium gasoline near them. For those vehicles that do not recommend or require premium gasoline, AAA suggests drivers opt for the lower priced, regular fuel. In a study released last year, AAA found that consumers wasted nearly $2.1 billion dollars fueling these vehicles with higher-octane gasoline. However, drivers of vehicles that require premium gasoline should always use it. Additionally, any vehicle that makes a “pinging” or “knocking” sound while using regular gasoline should be evaluated by a repair facility and likely switched to a higher-octane fuel. Drivers seeking a higher quality fuel for their vehicle should consider using one that meets Top Tier standards, as previous AAA research found it to keep engines up to 19 times cleaner.